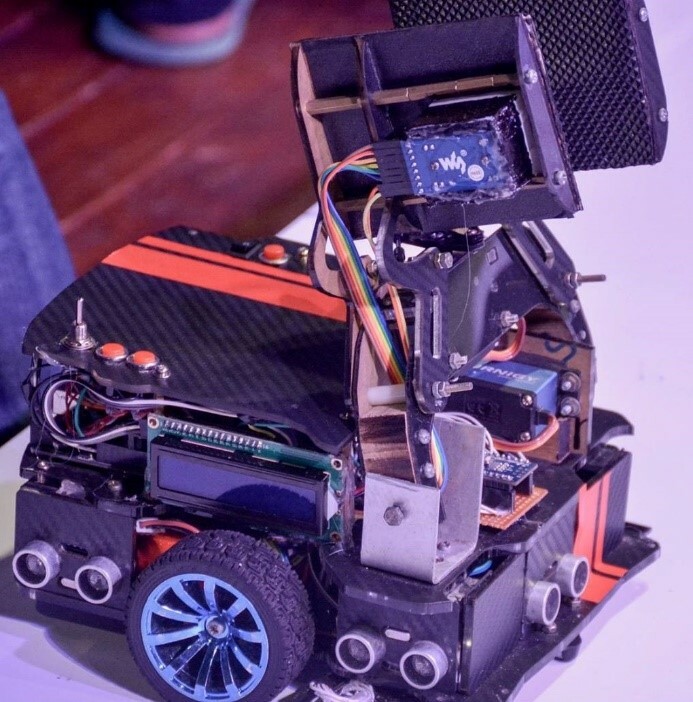 An autonomous mobile robot is an intelligent machine which has been designed to be fully capable of performing any real-world task or industry application on its own, without any human control or intervention. These robots are “autonomous” with regards to a set of strict confines that are determined by the direct environment it operates in. Through a set of requirements like self-maintenance, sensing the external environment and autonomous navigation and locomotion they interact with and finally perform a set of tasks. Autonomous robots do have some disadvantages, such as requiring regular maintenance. In today's society, autonomous robots play a huge role in ranging from Mars pathfinder missions to industrial manufacturing robots to domestic vacuum bots. The field of robotics and using them for real world problem solving is a rapidly developing phenomenon in today's technologically advanced society. We are a team of 5 students from the Department of Electronic and Telecommunication Engineering, University of Moratuwa. 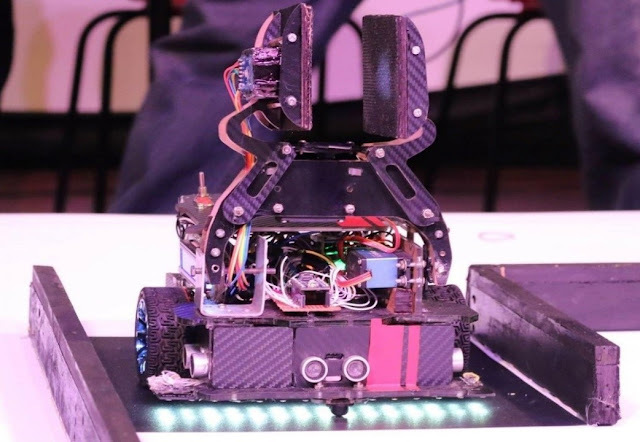 We were very much interested in designing and developing Mobots and Battle bots while engaging in our undergraduate studies. This robot we are presenting is the first autonomous mobile robot that we made. 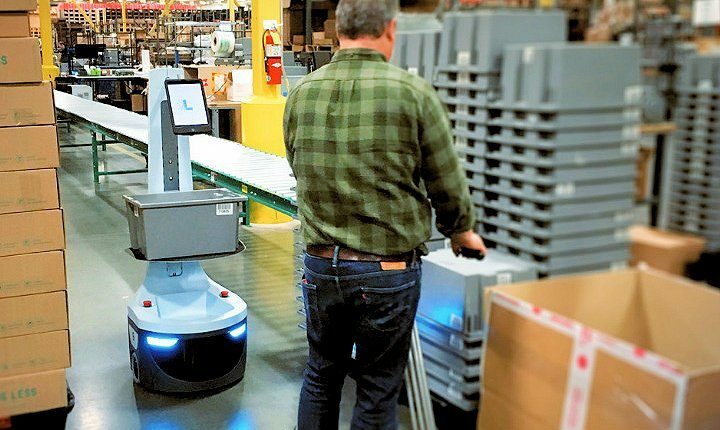 “ZEUS” is a line and color arrow following fully autonomous supply delivery robot. The robot also has a uniquely designed arm that can be reconfigured to lift various objects of different shapes, and can be integrated with color sensing and metal detection capabilities. The importance of ZEUS can be understood by analyzing the industrial applications of it. Autonomous robots have extremely useful applications that can help automate and make efficient any day to day task. The industrial applications of ZEUS can be discussed under two categories. The first being navigation using lines and arrows on predefined paths. The use of autonomous line/arrow following robots for navigation is a very effective and popular method, by which many industrial and day-to-day activities have been transformed into fully autonomous tasks that are being executed effortlessly. We would like to express our sincere gratitude to each and every person whom helped us throughout this project, in making it an unforgettable experience for us, filled with valuable knowledge and memories. Hence, firstly we would like to extend my sincere thanks to Dr. Peshala Jayasekara, Senior Lecturer of Department of Electronic and Telecommunication Engineering, University of Moratuwa, and our Robotics lecturer during semester 3, who taught us the basics of robotics and provided us the opportunity to create our first autonomous robot. We also thank Dr. Jayathu Samarawickrama for providing us advice on circuit design and fabrication, as well as inspecting our designs and point out improvements for us. Next, we would like to extend our gratitude to Mr. Janith Kalpa Gunaratne, our mentor, who would guide us whenever we faced an obstacle. His valuable advice and the knowledge he imparted to us was a great motivation for our robotics projects. We would like to especially thank him for teaching us about the basics of SMD soldering and supervising our design and soldering skills. I would also like to extend my gratitude towards the entire 2015 batch of the Department of Electronic and Telecommunication Engineering, University of Moratuwa.